If you say ‘can’t’ you’re restricting what you can do or ever will do. Nobody is going to put a limit on what I’m doing. Nothing is impossible. With so many people saying it couldn’t be done, all it takes is an imagination, and that’s something I learned and something that helped me. I can’t remember the last day I didn’t train. 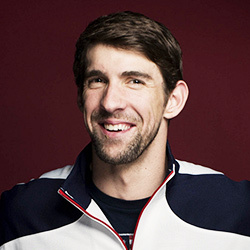 I don’t want to be the next Mark Spitz; I want to be the first Michael Phelps. If I want to achieve the goals I’ve set, I’ve got to be in tip-top shape.